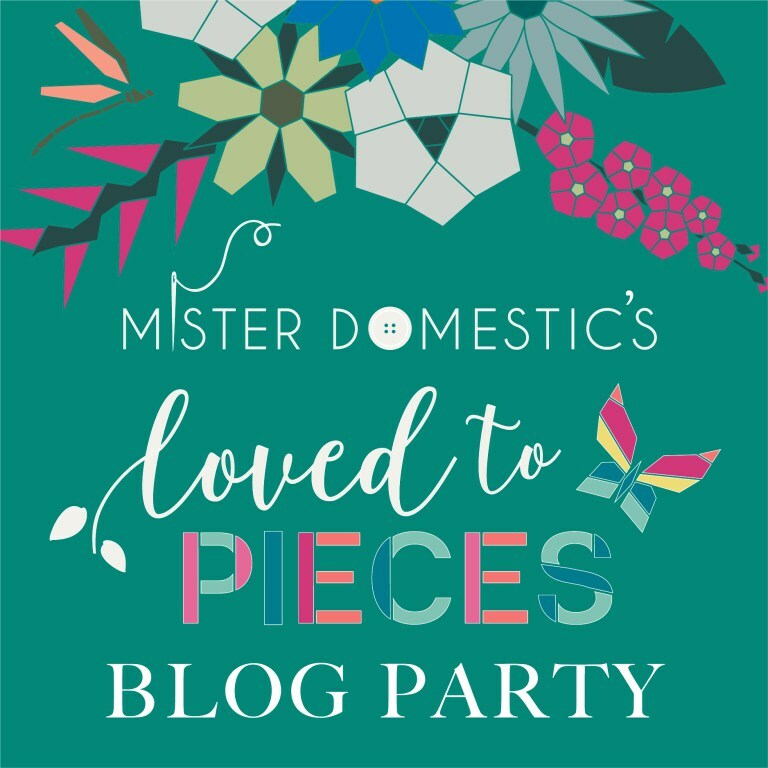 Mister Domestic's Loved to Pieces Blog PARTY! 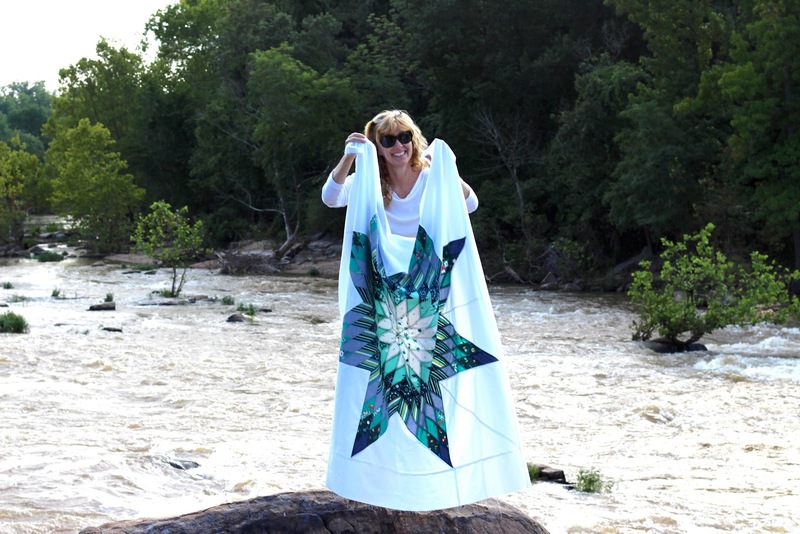 Today I am finally sharing my Lone Star Quilt top make using Mister Domestic's Loved to Pieces fabrics for Art Gallery Fabrics. I chose to use the blues and greens from this incredible line. This was not my first idea when I was asked to participate but once I got the fabrics in my hot little hands I did a 180 and decided on something else altogether. 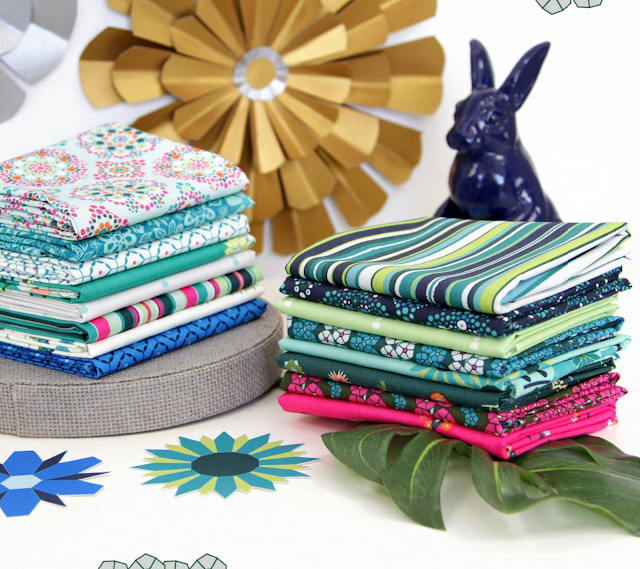 It is interesting how actually SEEING fabrics can change your mind. I thought I had it all figured out but then I realized I did the math incorrectly. I had to rip the entire thing apart and pretty much start from scratch. It was frustrating at first but the reconstruction was not that horrible as I had expected. I learned some great things from stitching it piece by piece. 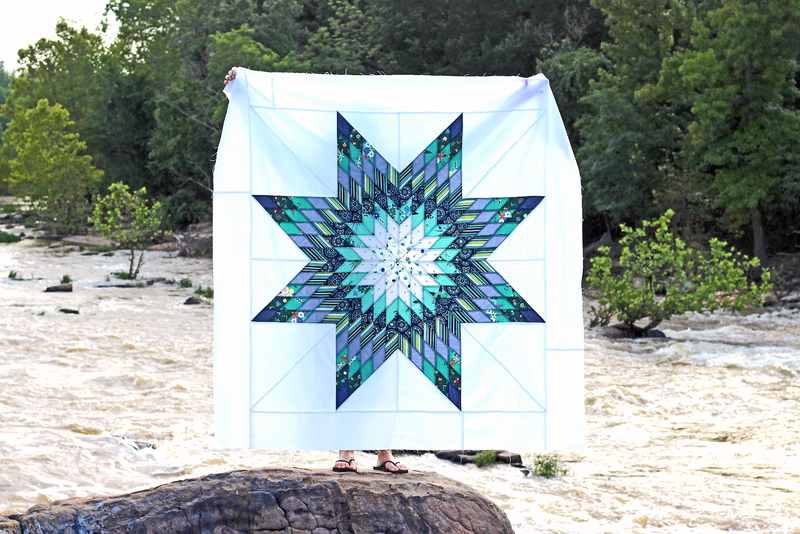 The whole quilt was so much easier to process when I could see it all up on the design wall! Not fun but it went back together again pretty quickly! With the help of the in house 11 year old, I was able to grab some photos by the Rappahannock River around the corner from the childhood home of George Washington. The quilt was pieced using Aurifil 50 wt thread. Because I was pressing all the seams open, I decreased my stitch length to 2.1. Decreasing the stitch length makes the stitches tighter and less likely to show thread when pressing. I think this is my favorite shot! We had to hike along to find a variety of opportunities for photos. It was such a beautiful day and uncrowded along the river making it just a fun hike. Ask me about my Aurifil train case photo sometime, it was literally life or death and lectures from strangers! He is SO hired as my new photographer! For the first time ever in this house everyone loves a quilt. The in house teen says it looks like impressionist art. I was all giddy when she gave such a wonderful compliment! 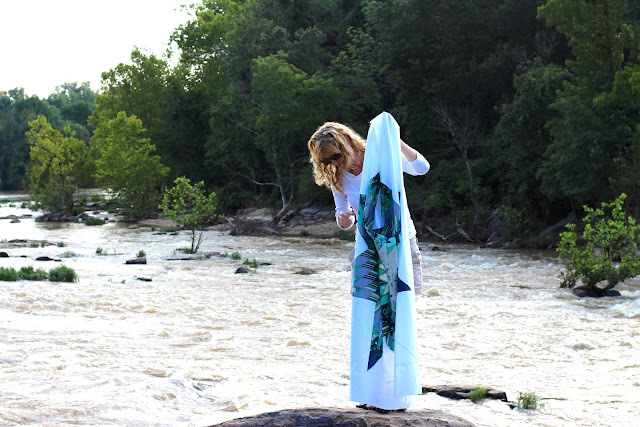 Find more fabulous projects by visiting these incredible makers! The quilt looks amazing. 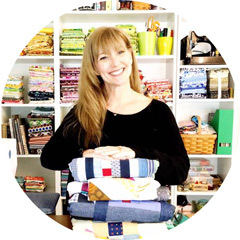 But I can't believe you didn't post a link to the Aurifil Train Case photo. Some of us are deadly curious. HA! It was used for promotional stuff.